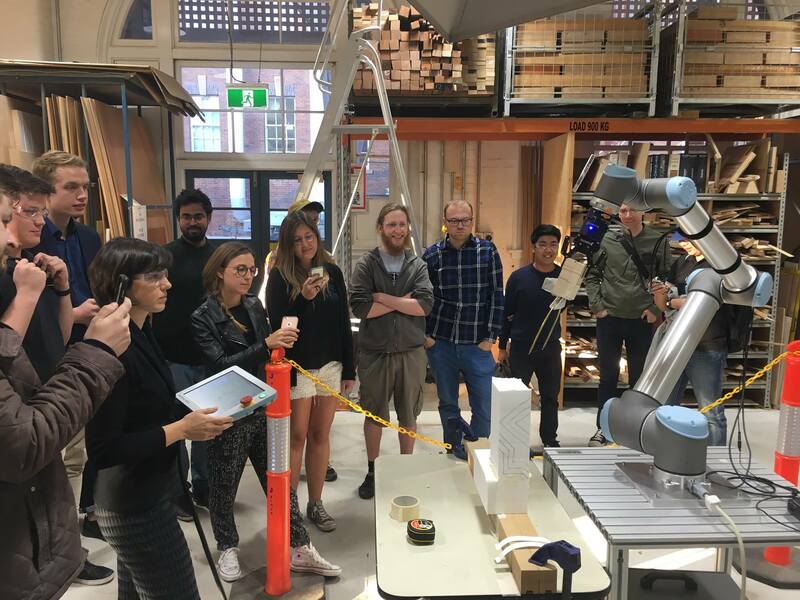 The Design Robotics Team hosted a group of students from the University of Queensland’s School of Architecture to work with one of our UR10 Robotic Arms. The students worked together to design a wall panel using Morpholo Tiles. 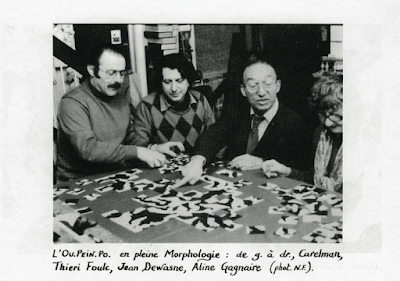 Designed by Thieri Foulc in 1985, Morpholo tiles are a combination of square tiles which can be arranged in different ways, as a game or a piece of art. In total, there are 240 tiles, containing black and white shapes; the only rules to the game are to match the black edges with black, and white edges against white, which creates numerous possible configurations. As a method for organising these tiles, a code can be generated using a mathematical formula. You can see what the Morpholo Tiles looked like below. Working with a pattern created by the Morpholo Tiles, Students created a three-dimensional version, as a wall panel. This was done by cutting the pattern lines out of foam blocks; where the solid was the white and void cut out, the black. 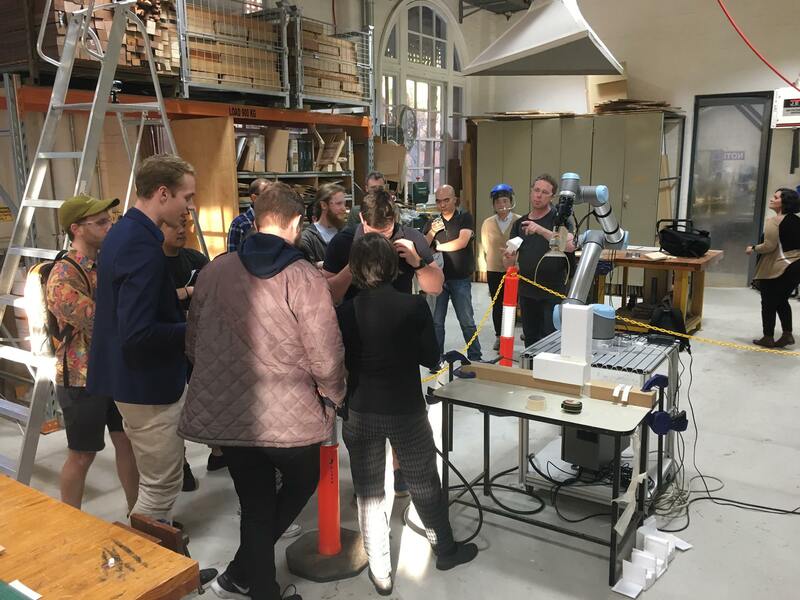 They used the UR10 Robotic arm, with a hot wire cutter attachment, to cut the desired pattern out of each block of foam. These blocks were then assembled into a wall panel, like bricks to create a pattern. It was a great opportunity to exchange and share out knowledge and practical skills with our colleagues. 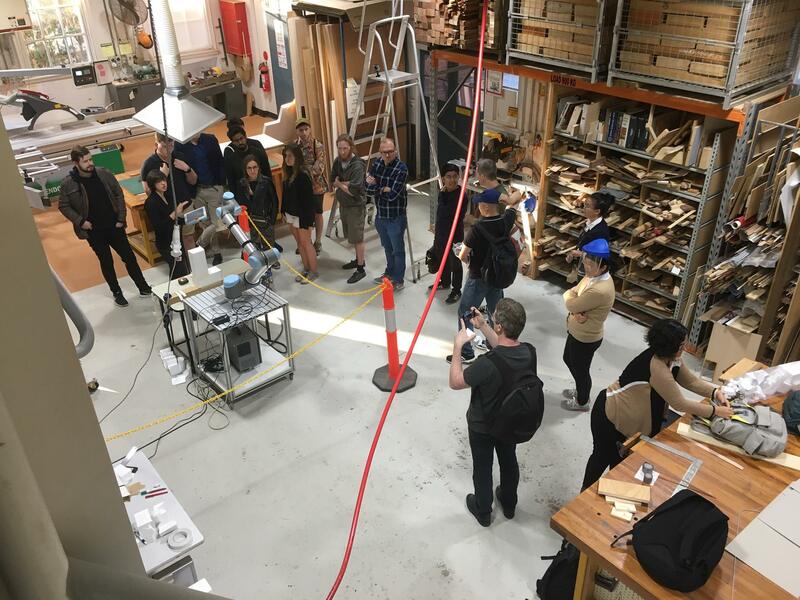 The outcome of the workshop was successful, and we hope to build on this work to create wall panels, with mass customised components and different materials, for future built environment applications.